The new austerity program that was proposed yesterday (13/8/2015) by the SYRIZA government and voted by the majority of SYRIZA and the discredited old pro-austerity and pro-EU (European Union) parties brings disaster for the Greek people. Economic depression will be aggravated, foreign debt will be increased, wages and pensions reduced even more, poverty exacerbated and Greece’s subservience to EU’s imperialism heightened. The SYRIZA government has followed the course of the previous New Democracy (ND) government. It has been elected on an anti-austerity electoral platform. Once elected, it pretended that it negotiated forcefully with the EU for a remaking of the austerity restructuring program for Greece. However, soon it capitulated to EU and became another puppet government. This political betrayal produced a schism in SYRIZA with its Left wing rejecting the new austerity program and ready to break out from the party. 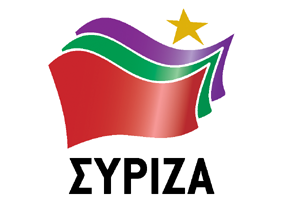 However, till now SYRIZA’s Left wing has adopted a hermaphrodite political position: it rejects the austerity program but supports the SYRIZA government that pushes it forward. This is an untenable position. SYRIZA’s Left wing has to decide: either it will remain within the party and try to rectify it (which is obviously infeasible) or it breaks out and creates a new political front. It would be foolish if it tries the second option on each own. The SYRIZA’s Left wing has neither the organizational capabilities nor the political clout for this. If it had both (or either of them) it would not have participated in SYRIZA (whose treacherous course was predictable). A new popular political front can only be created if it unite the significant Left and popular forces that exist outside SYRIZA and have a significant presence in popular movements. A new political front must also have a clear program. It has to confront the EU and openly adhere Greece’s secession from this exploitative imperialist organization. Any hesitation regarding this is self-defeating. Unfortunately, SYRIZA’s Left wing till now has not made any clear move in these two crucial aspects. If it fails to do so then its demise is on the cards. SYRIZA’s capitulation to the EU and the tough austerity measures of the new program (and their prerequisite actions) have already started biting people’s incomes and eroding SYRIZA’s electoral support. This is leading to an ‘Argntinian situation’. In Argentina neoliberal Peronist Menem government was voted out because of it austerity measures dictated by its dollarization policy (i.e. relinquishing monetary independency). A series of governments followed that all were nominally anti-neoliberal and anti-imperialist. However, none of them ventured to cross the system’s ‘red line’: dollarization. The result was that all of them, in practice, followed Menem’s economic policies and for this reason they were forced out by popular revolt. Similarly, SYRIZA does not question the Greek systemic ‘red line’: the participation to the EU. This participation may bring profits to the Greek oligarchy but it is the ‘mother of almost all evils’ for the Greek pople. For this reason SYRIZA will also, sooner or later, face popular anger. Currently, SYRIZA is trying to negotiate with the EU imperialist their permission to hold snap elections. It calculates that, before the new austerity measures destroy people’s incomes, a snap election will give SYRIZA enough electoral support to remain in government. However, the EU imperialists are hesitant as even a snap election will have an injurious economic impact. Moreover, they prefer a coalition between SYRIZA and the old pro-austerity and pro-EU parties. In all cases people’s anger is boiling and the mainstream political parties (SYRIZA included) that are subservient to the EU and the Greek oligarchy are losing support. The times are calling for a change. The necessity for a new popular political front that will confront the EU and lead Greece’s secession from it is obvious. The above text is the extended transcript of the interview I gave today to the News program of the Press TV.